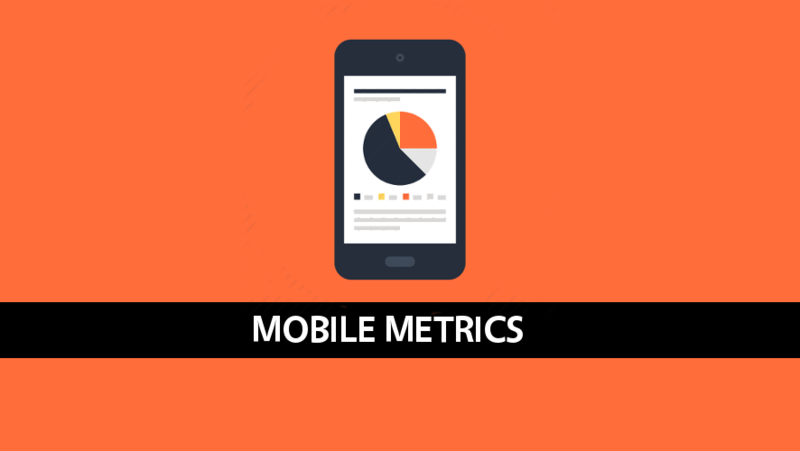 Welcome to the complete guide on mobile metrics. It is no secret that people are spending more time on their mobile devices. In fact, according to Mary Meeker’s latest report, “time spent on mobile devices ticked up again in 2016 to 5.6 hours, up from 5.4 in 2015.” Despite this trend, organizations are still struggling to adapt. Most still do not have a mobile strategy and those that do are playing catch up. A mobile strategy like any digital marketing strategy begins and ends with trackable metrics. It is important to understand what mobile metrics or key performance indicators (KPIs) you need to measure before you execute your mobile strategy. You won’t know if you’re winning if you don’t know how to keep score. Yes, there are different parts to a mobile strategy. Mobile websites, emails, customer experience, apps, etc. Each of tactic requiring specific metrics, but the focus of this post is mobile metrics for mobile apps. Mobile metrics for apps fit into 5 categories. Acquisition, Activation, Revenue, Retention, Referrals. After you design and build your app, your focus should be on getting people to download it. After launching your app, the first mobile metrics you will be able to track will come from user acquisition. If you don’t have people using your app, you won’t have any mobile metrics to measure. Downloads or Installs – The number one job of a mobile marketer is to get as many app downloads as possible. Yet, it is important to understand that like most things, quality is better than quantity. Finding the balance between the quantity and quality of your app downloads will push your other mobile metrics. Organic Downloads – An organic download is a download that your app receives as a result of a user going to an App Store, searching (either through search or rankings), and downloading your app. This is an important stat to track because users download 63% of apps organically. Also, organic downloads are usually the highest quality download you can receive which is why ASO is so important. Paid Downloads – Paid downloads are downloads that you influence by sending users to your App Store listing through any marketing tactic. However, the term paid download can be a little misleading because sometimes you can send users to your app store listing without having to spend money to do so. For example, you could send a potential user to your app store page through a link that you post on a free social media site. CPI – Cost per install is one of the most important mobile metrics to track. Since knowing your CPI will allow you to track your CPI vs. LTV. You need to keep your CPI below your LTV if you want to make money. Impressions – Or ad views is the point when the user views your app marketing. In fact, impressions can come from many forms of advertising including different mobile ad formats, social media, cross-promotion, press, or even traditional marketing channels like TV commercials. Clicks – This metric measures how many people click on the marketing which will direct them to an App Store to download the app. CTR – Or Click-Through-Rate is the ratio of users that click the marketing creative over the total number of impressions or views. In short, this metric measures the effectiveness of your marketing creative. The higher the CTR the better. 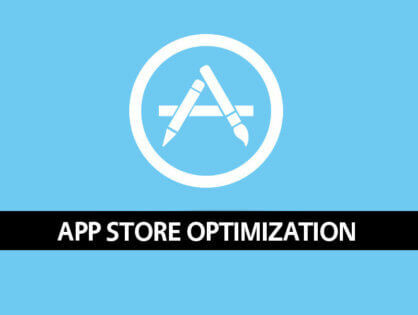 App Store CTR – The is the rate of users that get to your App Store page and then download your app. Remember, getting users to download your app is a two step process. The CTR on the creative could be great, but if they get to the store and don’t like what they see, they won’t download. Attribution – Tracking that allows you to understand where each download is coming from. Understanding where you are getting quality downloads is important. If you know where you can find high-quality users you won’t waste your money on bad channels. Ranking – The higher the ranking in the App Store the better your visibility. The better the visibility the more organic downloads your app will receive. The goal is to keep the ranking as high as possible. So you get the user to download the app, now what. Many people download the app and never open it. Once the user has downloaded the app, it is important to get them to use it. It is now your job to turn the download into a Daily Active User or DAU. Tutorial Completions – You can’t expect users to understand how to use your app on the first try. It is important to create a tutorial to walk to teach the user how to you use your app. Users who complete the tutorial are more likely to use the app on a daily basis. Sign Up Completions – Some apps like Netflix or Facebook ask you to sign up for their service. A completed sign up as a great sign that a user will be active with your app and become a DAU. Completed ‘X’ Task – If your app is simple to use, users will be able to complete simple tasks quickly. Ease of use combined with great design should get them “addicted” to your app. The goal is to keep them coming back day after day. Examples of in-app tasks that you could track could be, buttons clicked, levels completed, games won, or functions used. Load Time – This mobile metric refers to the time it takes to open the app and then use it. The shorter the load time the better the experience and the better the experience the more likely a user will become a DAU. After a user finds and downloads your app you need to figure out a way to make money off that user. Sure you can create an app as a brand extension purely for awareness but if you can also make money off of your users, why shouldn’t you? 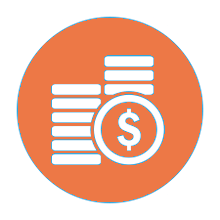 Total Revenue – Amount of money earned from your app. Revenue earned from your app may refer to direct revenue from IAPs / Ads or it could refer to revenue earned as a result of using the app to purchase physical goods. For example, some one that uses the Starbucks app to purchase their daily coffee at their local Starbucks. LTV – Life Time Value is the monetary value a user will give you over the lifetime of using the app. LTV is calculated by combining many different mobile metrics like the total number of DAUs, retention rate, ARPDAU, and total revenue. ARPU – Average revenue per user. This calculation is done by taking total revenue and dividing by the total users acquired or total downloads. ARPPU – Average revenue per paying user. This is done by taking total revenue divided by total paying users. ARPDAU -Average revenue per daily active user. This calculation is done by taking total revenue and dividing by DAUs or Daily Active Users. % of Paying Users – The number of paying users to non-paying users. Ultimately, the higher the percentage the better. IAPs Purchased – In-App Purchases are items that can be bought by the user from inside the app. IAPs can be consumable or non-consumable. An example of a consumable IAP would be purchasing lives to continue playing a mobile game. They can only be used once. Non-Consumables would be an enhancement to the app that can be bought and used forever like paying to remove ads. eCPM – Effective cost per thousand impressions. 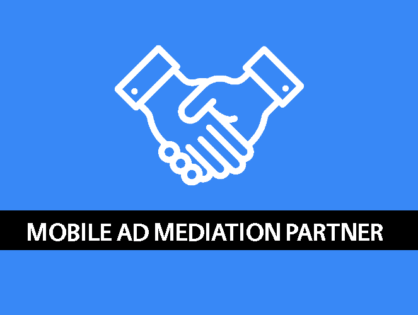 This mobile metric is used when you are monetizing your app using ads. Advertisers will pay publishers (you) for showing ads in their apps. Fill Rate – The fill rate is the number of ads that you request to be shown in your app vs. the amount that is actually shown in your app. Another metric related to monetizing your app with ads. The goal is to get fill rate close to 100%. There are tactics you can use to influence this percentage like integrating multiple ad networks and a mobile ad mediation layer. Subscription Sign Ups – Some apps monetize through subscriptions. Those that do should track their subscription sign ups to understand how many users they are getting into their purchasing funnel. It shouldn’t stop with a download, your goal is to get users to download your app and use it over and over again. Paying close attention to your retention metrics will give you the ability to implement tactics to move retention in the right direction. DAU – Stands for Daily Active User. DAUs are the life blood of your app and more than likely, if you don’t have DAUs your app isn’t good. The best apps create experiences that get the user into the habit of coming back day after day. 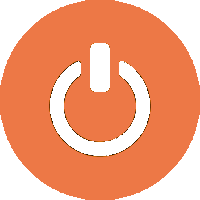 MAU – Or Month Active User. Are your users coming back month after month? # of Sessions – When a user opens an app and then closes it, that would be a session. If they are using the app for multiple sessions per day, then you have created a great app. Session Length – The amount of time spent in the app is called a session length. Usually, the longer the better. Additionally, if you can keep people using your app, you will have time to monetize them. Session Interval – Measures how long it takes them to go back to using the app once they have finished. Long session intervals could indicate that there isn’t enough content to keep them coming back. 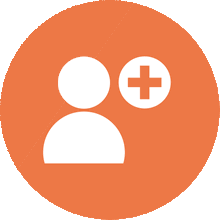 Retention Profile – Retention is measured by a number of users that remain after a certain amount of days. Typical metrics include Day 1, Day 7, Day 30, Day 60, & Day 90. Uninstalls – If a user downloads your app and then uninstalls the app, you have lost them. Tracking whether a user uninstalls your app is key to understanding when you need to retarget them with a new user acquisition campaign. Crashes – Apps crash, that is fact. It is critical to find and minimize the crashing in your app. Fewer crashes equal better experience for your users. App Reviews & Ratings – Users will only download apps that they trust and app reviews increase this trust. Also, it is key the majority of the reviews are positive. Users trust apps that have a lot of reviews and at least a 4-star rating. Virality and K Factor – This metric is a measure of the viral popularity of your mobile app. In general, the more people talking about your app the higher the likelihood that your app will get downloaded. K Factor can be measured a number of different ways but most people multiply the number of social mentions by the percentage of app downloads from of those social mentions. If your organization commits to building a mobile strategy, you must ensure you have the right tools in place to track the correct mobile metrics. Without measurement tools and KPIs in place, you may never know if your mobile strategy succeeds or fails. It’s great to receive mobile metrics but if you aren’t able to filter the data by certain parameters, it’s useless. Below are the most important filters to use when looking at mobile metrics. Ad Format – Static Interstitial, Video Interstitial, Rewarded Video, Native, etc. App – If your organization has multiple apps, this is a must. Country – The world is a very big place and results differ by country. Device – Some devices perform better than others. OS – Not all users are on the same operating system. Platform – iOS, Android, BlackBerry, Windows, Facebook, etc. Revenue Source – IAP, Ads, Subscription, Paid, etc. This is FREE content. I will never force you to give me your email or buy a product. I just love teaching people. If you learned something please share on your social media accounts and check out my other posts. Jonathan L. Simon © 2019.